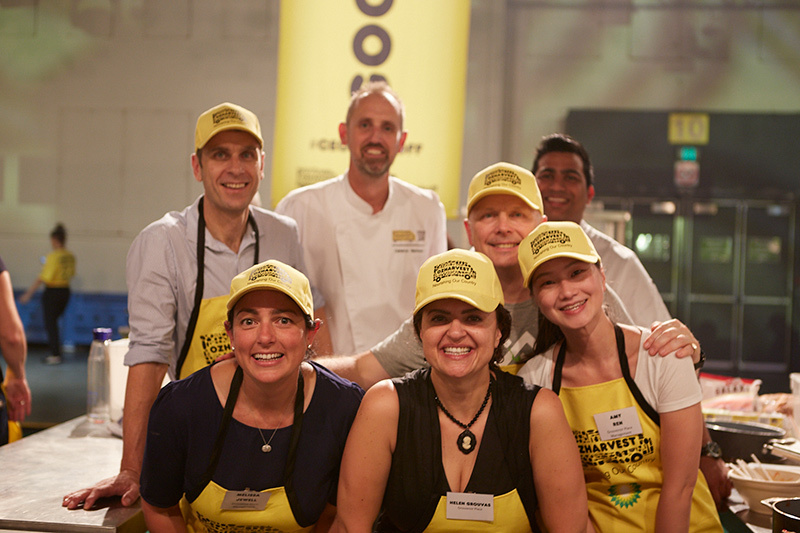 Thanks to our friends and colleagues, we’ve raised a total of $13,730 for OzHarvest in less than a month. 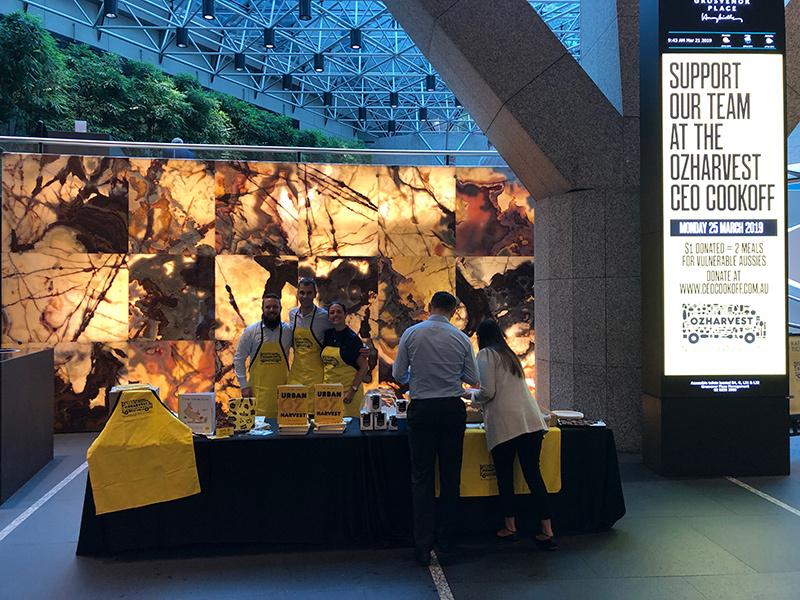 With the support of retailers, we raised $1,755 at the OzHarvest Morning Tea from gold coin donations, merchandise and raffle ticket sales. 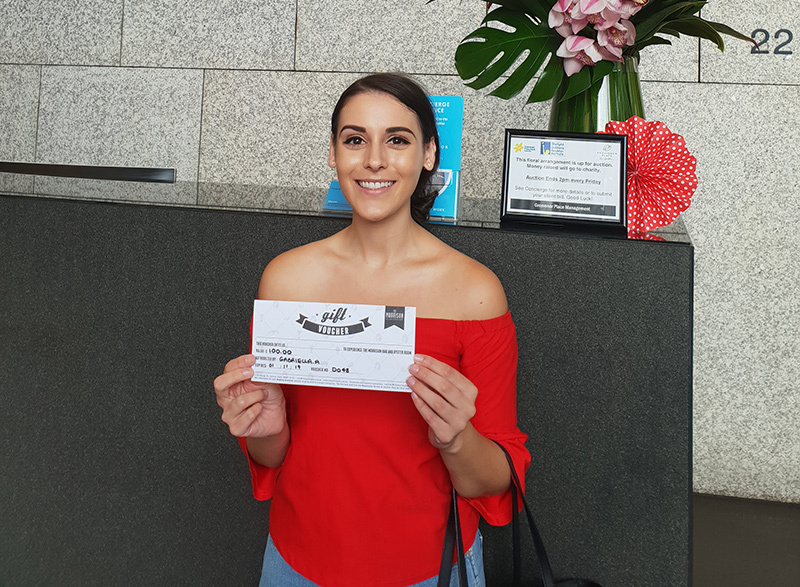 Congratulations to the winner of $100 voucher from The Morrison! 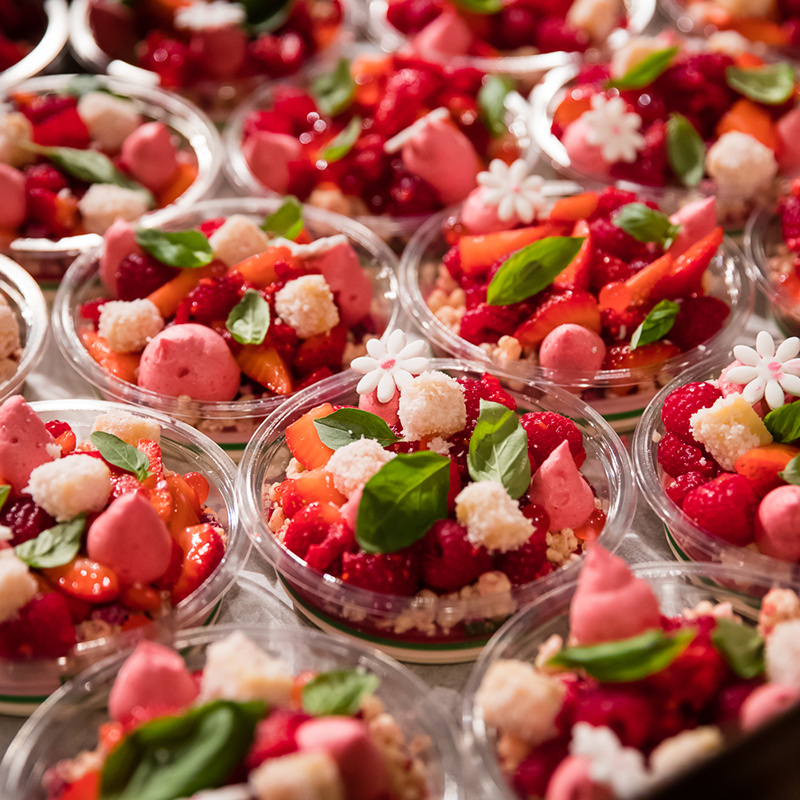 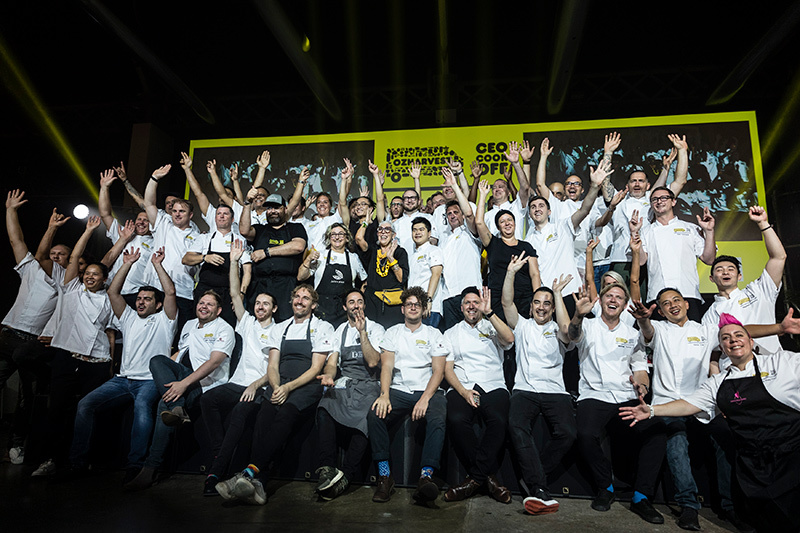 On the night of CEO CookOff™, Sydney’s Royal Hall of Industries was transformed into a stunning 50-hat pop-up restaurant. 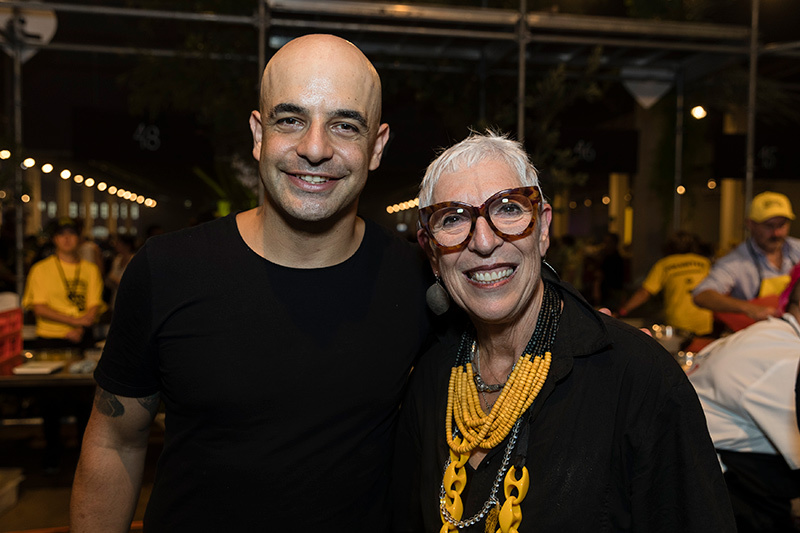 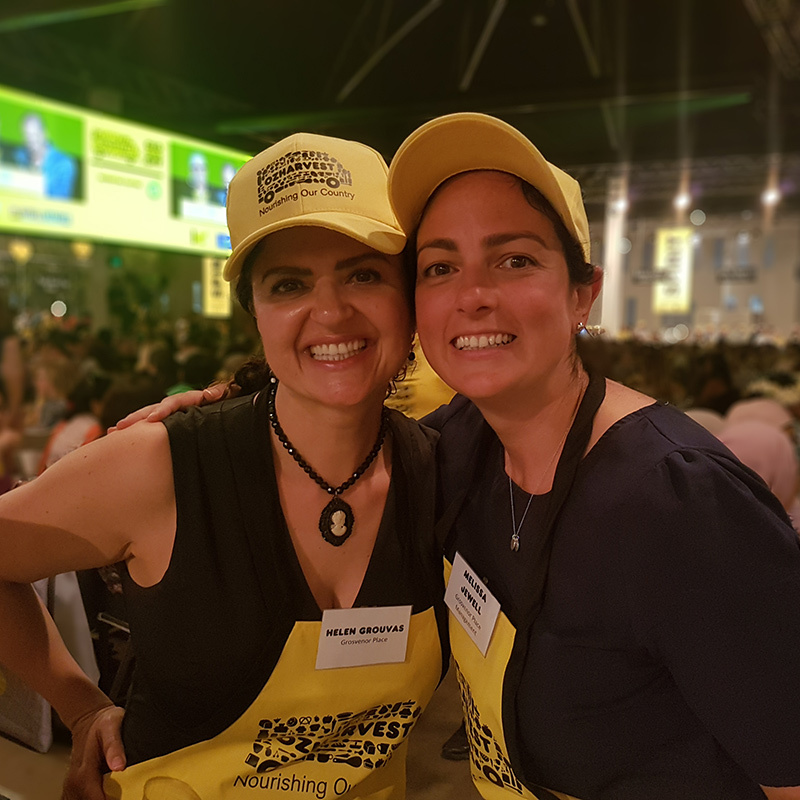 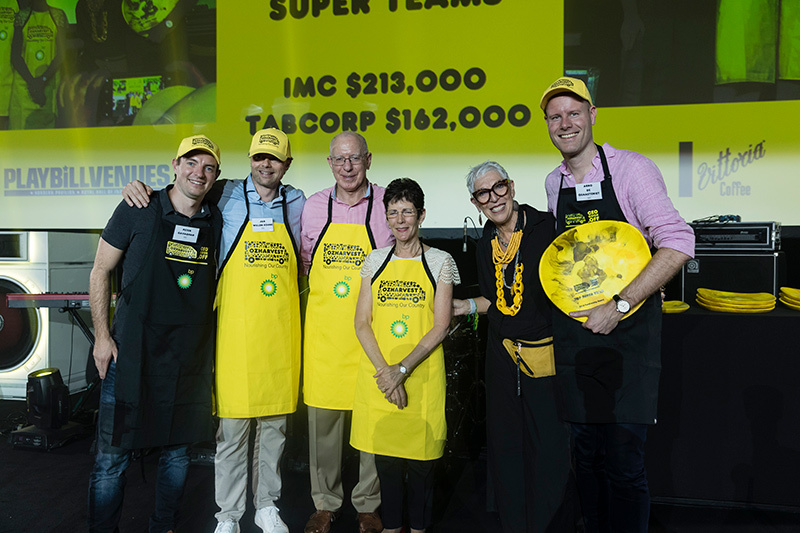 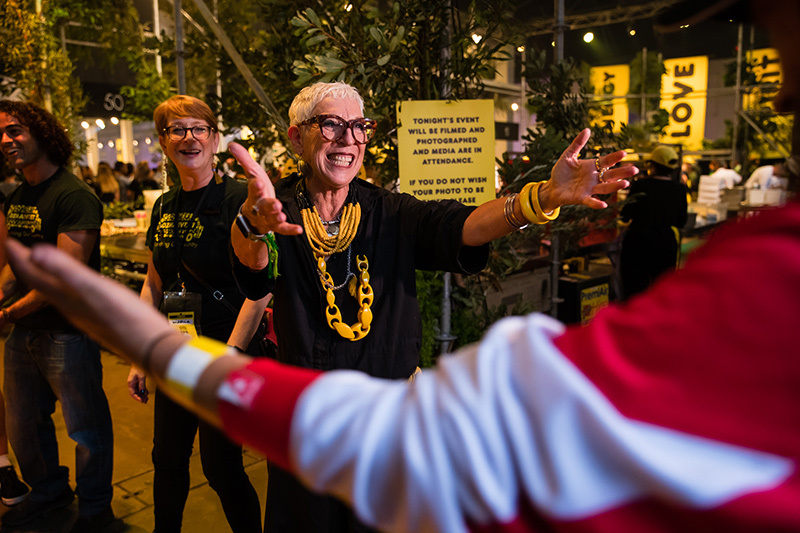 While 50 corporate teams and volunteers were busy with preparing a gourmet dinner filled with love and hope, OzHarvest Founder and CEO, Ronni Kahn and her team gave guests the warmest welcome at the gate. 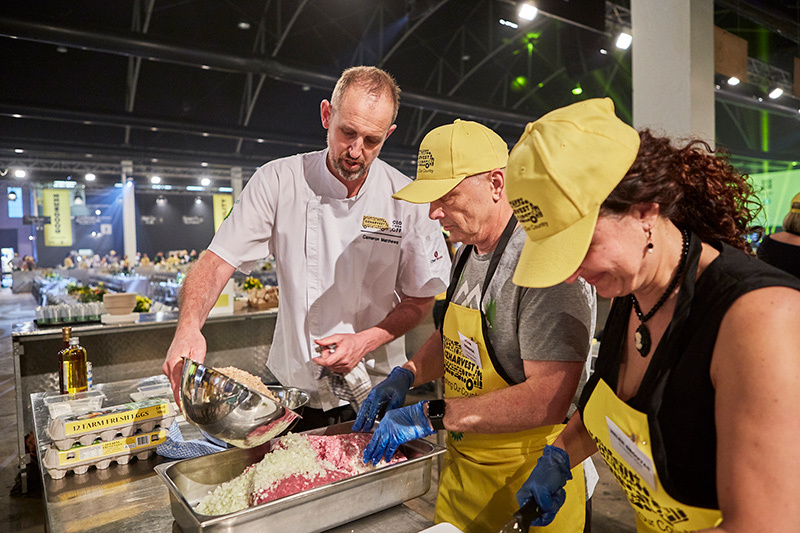 The Grosvenor Place team was honoured to partner with amazing chefs Cameron Matthew and Richmond from ÉREMO RESTAURANT in Hunter Valley. 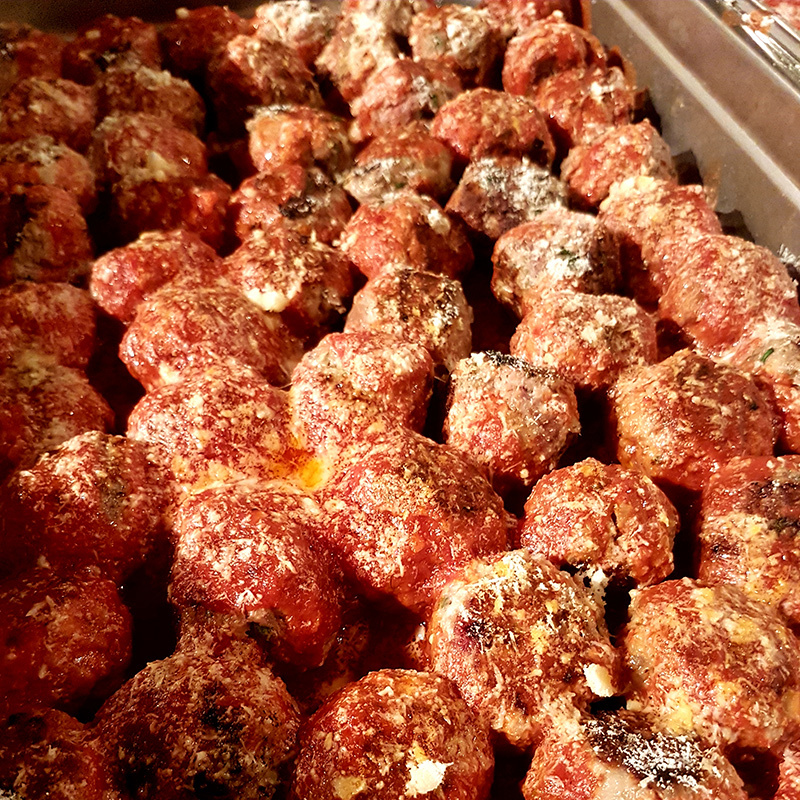 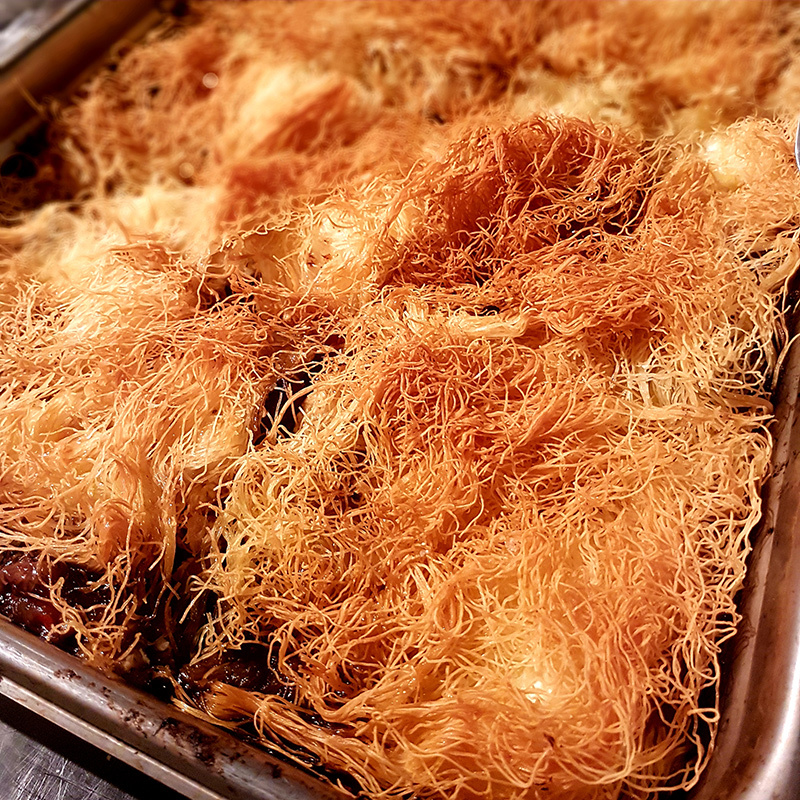 With hands-on guidance from Cameron and Richmond, our guests were served with delicious Vegetarian Kataifi Pie for entrée and mouthwatering meatballs for main, followed by heavenly dessert created by Anna Polyviou from Shangri-La Hotel. 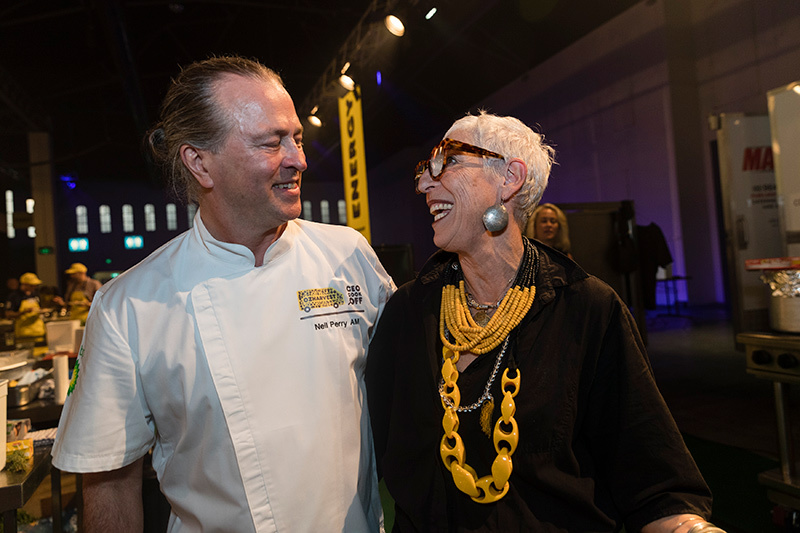 Guests were very excited to meet some of the most celebrated chefs at the event. 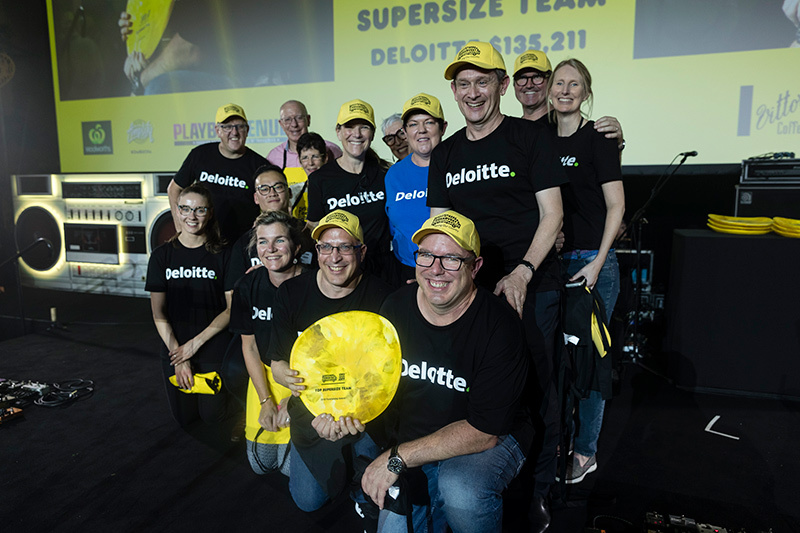 We are so proud that two of our customers – IMC and Deloitte made it to the top of leaderboards.